Notes from a Lake District Garden: I've finally finished pruning the bay tree. I've finally finished pruning the bay tree. The poor old bay tree is now unrecognisable from the 2010 tree- all wood and no leaves. Nature bounces back though, so I hope that my herb garden will soon have its green bay tree back at its heart. If it ever stops raining I'll take a picture of the bay tree now, hoping that I'll have impressiv e "before and after" pictures soon. If you've enjoyed your visit, if you have any positive thoughts to add, please do. Feel free to Pin the pictures and to Google + this page! I've written about herbs on a new site. What to do with all that lovage? Do you love to write? 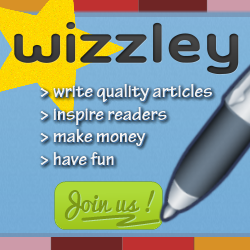 Why not try Wizzley?